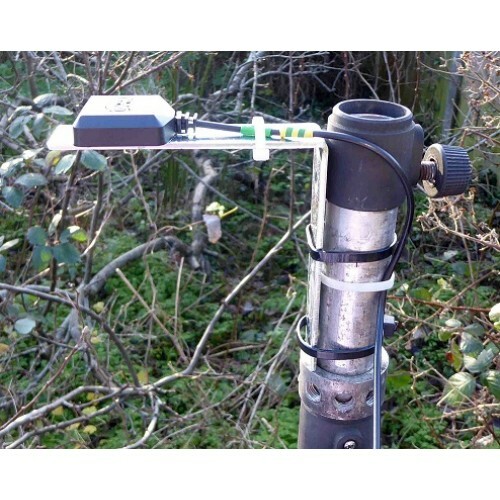 A GPS-Style Active L-Band Patch Receive Antenna to explore and experiment with reception of satellite signals on frequencies between 1535 MHz to 1550 MHz. 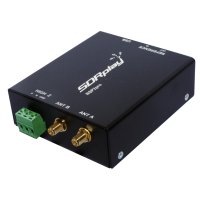 Suitable for SDRPlay SDR Radios (RSP1A, RSP2 and RSP2pro) and also for other Radios fitted with Bias Tee facility supplying 3V – 5V DC. 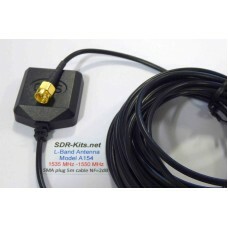 Can provide reception of signal with popular JAERO software where not forbidden by local Laws. 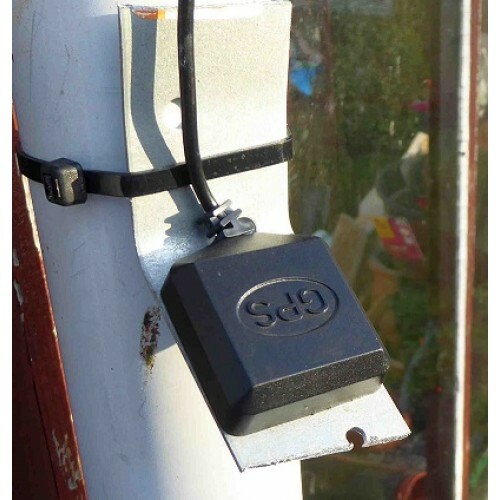 The Patch Antenna can be conveniently mounted by fixing a 10cm x 10cm iron angle bracket to an outside mast or other object and the magnet will hold the Antenna securely in place - similarly when placing the Antenna on top of the roof of a car for mobile reception. Note: Reception on L-band frequencies from geostationary satellites requires the Antenna to be placed in a OUTSIDE Location with a clear view of the Satellite. 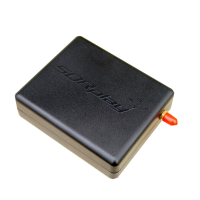 Unlike GPS signal - no reception is possible when the antenna is placed inside a car or inside buildings. Adverse weather (rain or snow) and also change in Satellite radiating footprint during the day may affect reception. 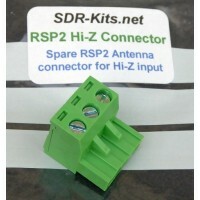 This Antenna is designed to our specification and is successfully used with all SDRPlay Radios, RSP1, RSP2, RSP2pro and RSPduo by many of our Customers. 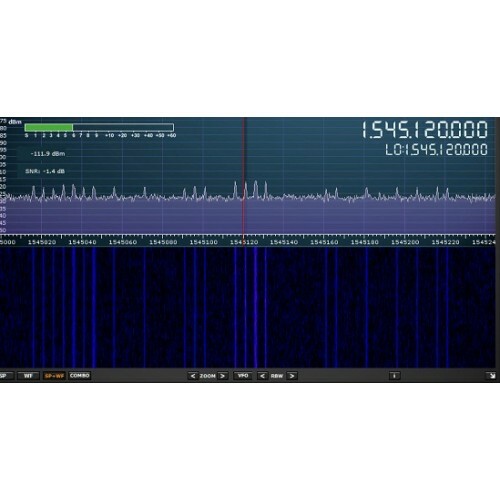 Successful operation has not been tested with other manufacturer's radios, like RTLSDR dongle which may have different front-end chips depending on the manufacturer. This is an Active Antenna with internal low-noise amplifier which will only work with Radios which have +5V Bias-Tee option. Bias-Tee must be enabled in software and LNA Gain and IF Gain controls must be set to maximum. When enabling Bias-Tee option you should immediately see the background noise increase by at least 10dB on the Panoramic Display. 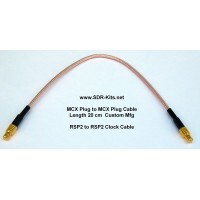 The Antenna comes with a standard cable length of 5 meters. 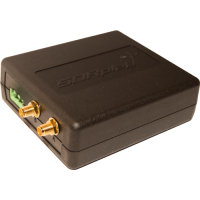 Do NOT insert additional antenna cables, splitters or low-noise preamps as this will increase the overall losses which may not be recovered with a second LNA amplifier. Successful operation may not be possible if the antenna is located within 50m-100m distance from a nearby Mobile Telephone Base-Station or from local Transmitters operating nearby. A good test is to take the RX and the Antenna out into the countryside and place on top of a car roof.